My Mom wanted to travel to Malaysia. That's what she told me when we talked on the phone this week. Her way to travel? She wanted me to sign up on a multi-level marketing which she's into recently. I am half-hearted into joining the MLM because I have been to one of those MLM before which did not help me succeed. 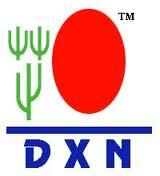 But because of her prodding, I ended signing up for DXN International as an agent today. I still have to study the product and it's marketing scheme. I have to make my Mom happy. Hopefully I can since I can't give her this travel dream myself, I should at least put some effort to making her dream come true. Mao ba ni ang manufacturer atong kape nga lami kaau? Thanks for the link! tc!